This document provides an outline on the process for accessing and taking the online Building Enclosure Commissioning Certificate Examination. The Building Enclosure Commissioning Certificate Examination will be administered online within a course site. Follow the steps below to gain access to and take the exam. 1. Set up your username and password. Please watch for a "Getting Started" email from noreply@welcome.csis.wisc.edu. This email will direct you through the process of activating your NetID (username) and password that you will use to access the online course site and exam. If you need assistance activating your NetID, please see Lifelong Learners - Enrollment Process and follow the first three steps of these directions. 2. Access and log into the online course site. Go to the Canvas Course Dashboard. 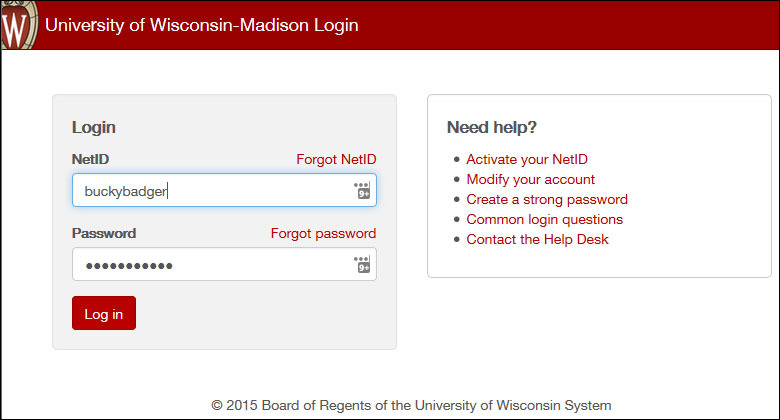 Enter your NetID and password and click "Log in". Locate Building Enclosure Commissioning Certificate Examination course site block and click on it. 3. Click on the Continue to Exams & Certificates button. 4. Review the Important Exam Reminders and EPD - Technology - Canvas - FAQ on Online Quizzes/Exams. 5. Choose either the Part 1 exam link or the Part 2 exam link and begin. 6. Pending results of the exam, certificates will be awarded approximately 15 days following when the exam closes. Technical difficulties? Contact EPD Online Support.